Another fun week of college football is ahead of us, featuring multiple top 25 match-ups that will strongly impact the outcome of the 2018 college football season. Here are my picks for the top games heading into the third week of college football action! THE Ohio State University will face its first real test of the season this Saturday as they get ready to square off versus a 2-0 TCU team that’s ranked in the top 15. The Horned Frogs are a promising team under QB Shawn Robinson, who has thrown for four touchdowns while also leading his team in rushing. Ohio State’s Dwayne Haskins has been very impressive, leading the Buckeyes’ offense downfield just about every drive. The Buckeyes are one of the best teams in the nation, both on offense and on defense. TCU’s Robinson will have a rough day with Nick Bosa all over his face all day. I’m taking the Buckeyes to win and to cover. After LSU put itself on the map by running over Miami last week, this has become a very important SEC matchup in which Ed Orgeron will try to lead his team to another upset victory. This time, however, they may be facing a tougher opponent on the road. Auburn’s defense is no joke and Jarrett Stidham can keep the ball moving on offense. This will be a hard test for LSU’s QB Joe Burrow and one I don’t expect him to pass. Personally, this is the game I’m looking forward to the most. Both teams have a lot to prove on the field. For the Broncos, this might be their Super Bowl. The game that can propel them to an undefeated season in 2018. 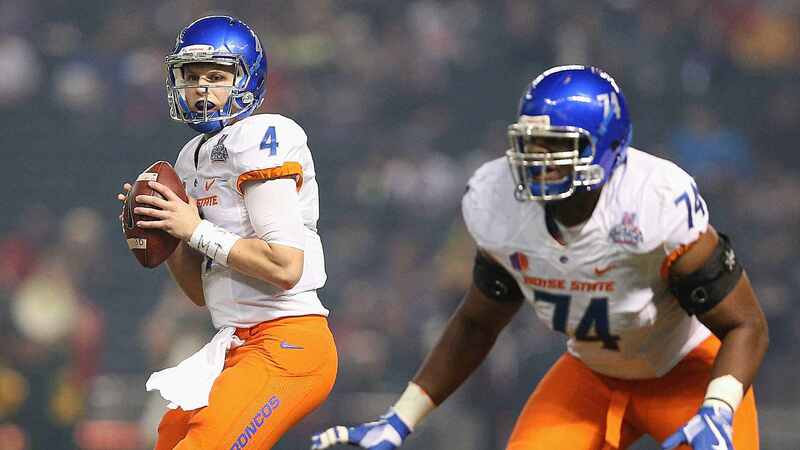 QB Brett Rypien has had an impressive season and could lead his team to victory on the road. I expect the Oklahoma State Cowboys to lose this game due to mistakes on offense. This is the toughest game to predict, in my opinion. The Texas Longhorns will host a ranked USC Trojans team and will have a shot at an upset win at home. It’s difficult to trust the Longhorns. They make a ton of mistakes and that could cost them the game. However, their defense is too good. USC QB JT Daniels will be under constant pressure, leaving room for mistakes and letting Tom Herman walk away with a big W.